As the colder weather sets in, I find myself constantly searching for oversized cardigans. I recently found this one and I have had this one forever but I am craving a couple more. Not only are they super comfy, but they are also effortlessly chic. 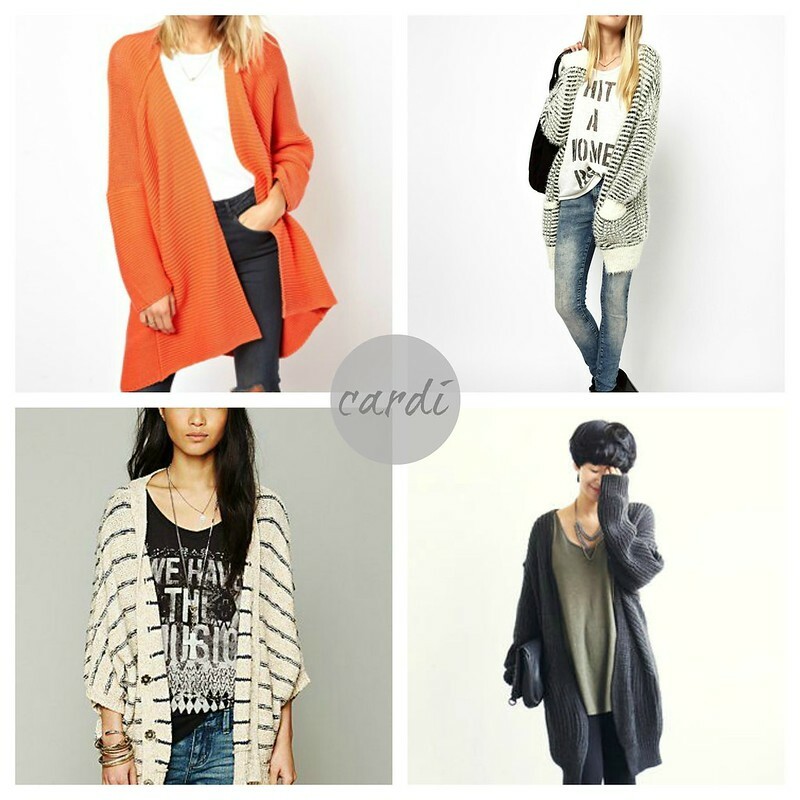 Here are four oversized cardigans I am currently lusting after. This entry was posted on Thursday, October 24, 2013 and is filed under asos,free people,grey,orange,oversized cardigans,prints,sweaters,winter. You can follow any responses to this entry through the RSS 2.0. You can leave a response. ive definitely started to see the value of them this season, they make everything look so effortlessly chic! LOVE these...and been looking for some. Thanks!! Love the boyfriend cardigans. There's so many ways you can accessorize them, belted, scarves, wear them with leggings or tights. Until it gets super cold, I wear cardigans as a jacket. Totally love these oversized sweater! !